A Korean news website has revealed that in October last year a S&T Daewoo K11 exploded after one of its 20mm grenades was prematurely detonated. The soldier who was operating the gun suffered cuts on his hands and face. 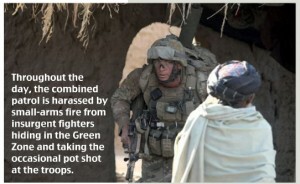 Ironically another problem with the gun, the poor lethality of the small 20mm grenades, saved the solider life. The Korean Department of Defense attributes the problem to electromagnetic interference from the Fire Control System. Reading between the lines, it sounds like it may have been a software bug with the FCS. I am troubled that it was even possible for the grenade to detonate. The grenade it supposed to be spin-armed, ensuring it has been fired a certain distance before detonating. Maybe a bug in the software (either on the grenade or on the FCS or both) allowed the grenade to be armed at a distance of zero, allowing it to be detonated in the barrel. Read the remainder of the article from The Firearm Blog.